In laugh out loud moment from her appearance on 'Larry King Now,' 'Despicable Me 3' star Miranda Cosgrove shocks Larry with a special talent! Larry King: Let me see. Miranda Cosgrove: You want to see? Larry King: Shake your eyes? Miranda Cosgrove: Yeah, like my actual eyeballs. Larry King: Oh, in the eyeball? Oh! Miranda Cosgrove: Can you see it? (laughs) I scared you. Larry King: How did you know you could do that? 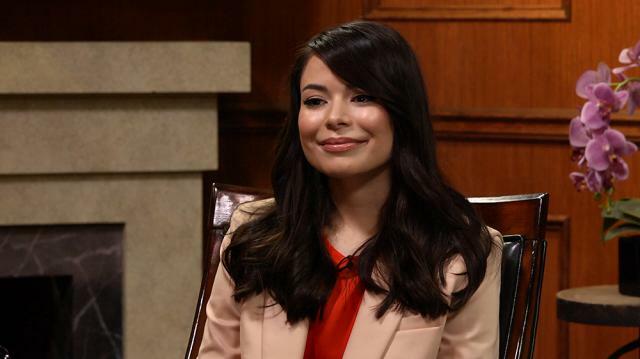 Miranda Cosgrove: I don’t know! I have no idea how I started doing that? Larry King: You were looking in a mirror one day? Larry King: Do you ever do it on screen? Miranda Cosgrove: No, I never have. Larry King:Try it! It could be a new hit for you. Miranda Cosgrove: Maybe I will!